Everyone has a dream. 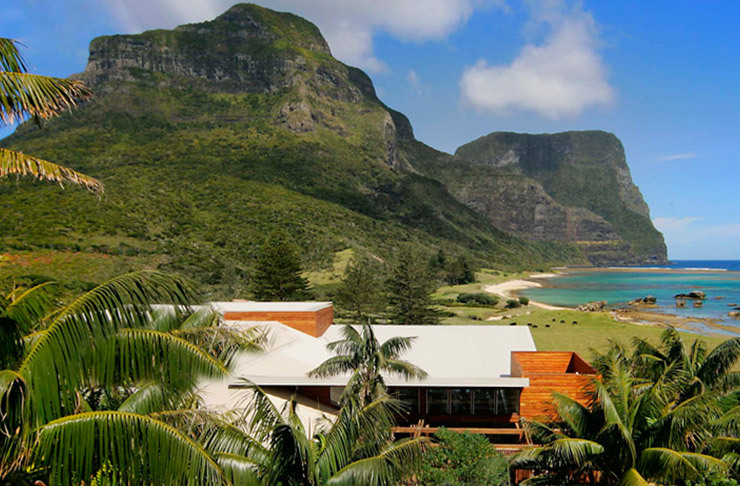 Ours is to stay at any and all of these boutique hotels in Australia. For your next minibreak, why not discover some of the gems that are lying on your doorstep (or are just a short plane ride away). Good luck picking between private island and oyster-eating in the sea. We had far too much fun compiling this list—here it is for all your wistful “one day” reading pleasure. We suggest Pretty Beach House simply rename itself to “Your Private Infinity Pool,” if they’re going to get literal, because, hello! Fly in via seaplane (of course), and nestle in to the forest to enjoy breathtaking views from just about every room (and double of course, from the infinity pool). Fitting right into Newtown’s industrial aesthetic, The Urban Newtown is the perfect vantage point for enjoying Sydney’s coolest bars and restaurants, right on your doorstep. They’re so dedicated to showing you the best boozin’ to be had, that the mini bar is free (yes, you read that right), and they offer regular wine tastings and local beer samplings. Why have one point of differentiation when you can have three? 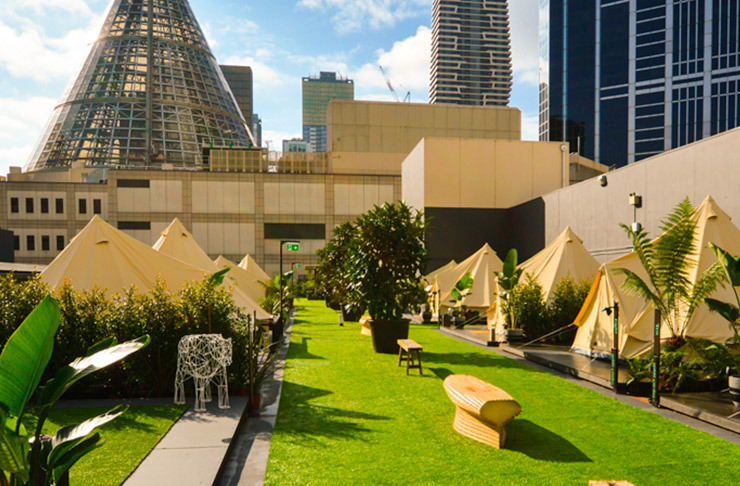 St Jerome’s – The Hotel is a luxury camping experience, on a rooftop, smack bang in the middle of Melbourne. All of a sudden your next “business” trip to Melbourne could be filled with a lot more of the great outdoors than you’d first thought. Leave that meeting on a high note, kick a ball around on the field, have a game of ten-pin bowling, hire a fixie for the day, or get yourself a late-night snack of sliders delivered to your tent door (didn’t see that one coming, did you?). If it’s not enough for you to enjoy Melbourne’s buzzing art scene, why not live in it? Spend all day in your own private gallery of Adam Cullen works at The Cullen, with CBD views to complete the picture. Or, marvel at John Olsen’s magnificent landscapes at The Olsen. Always wished you could live in the pictures gracing magazines and cookbooks? Live vicariously no more. The White House is literally used for photo shoots, and now you can finally be in one and live out all of those rustic-yet-lavish kitchen fantasies. Channel your inner Gatsby at The New Inchcolm, a heritage-listed hotel with plenty of modern glamour and its original art deco charm. 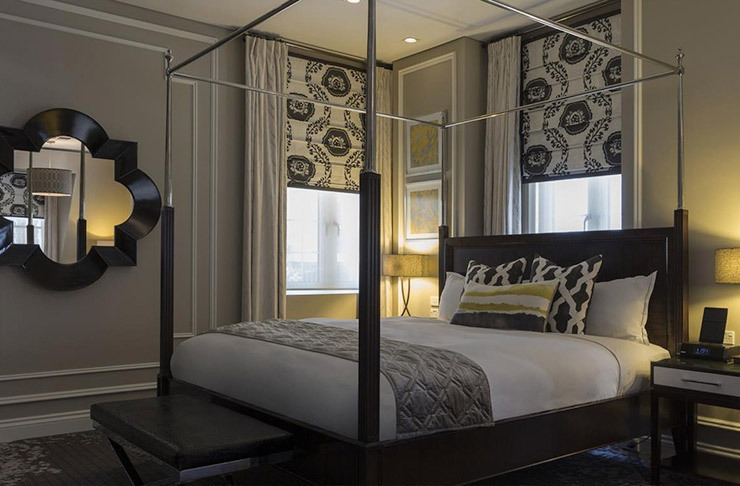 For the full experience, stay more than once to discover all the little differences in each room—a free-standing bath here, and four poster bed there. It’s always a surprise. For all those early adopters, Next Hotel is already at the forefront of keeping you in one of their beds (which appear to be scientifically proven to be the most comfortable bed you’ll ever sleep in). Actually, scratch that, it’s not a bed, it’s a Sleep System™. The app controls just about everything in the room, which means you’ve already brought your evening entertainment with you. Step into the home of McLeod’s Daughters, and just you try to even leave. This country getaway in one of South Australia’s premier food and wine destinations has won countless international awards. Discover why when you enjoy a long clawfoot bath out in the bush, and a damper and billy tea as you kick back with the kangaroos down by the water. Then for dinner, taste the best from local Barossa growers—all in a day’s work at Kingsford Homestead! 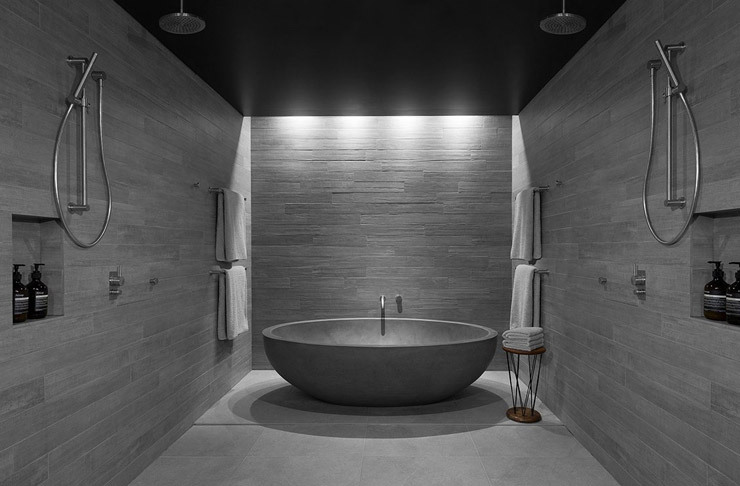 For the socialite in all of us, Hotel Hotel is bringing Australia’s best out-of-the-box thinkers together so you can bid adieu to boring cookie cutter hotel rooms. The textures, colours and shapes all defy expectations—they’re modern but feel natural and lived in, like your softest most beloved cashmere jumper. Rub shoulders with designers (or get a shoulder rub) within the Nishi building in the NewActon village. 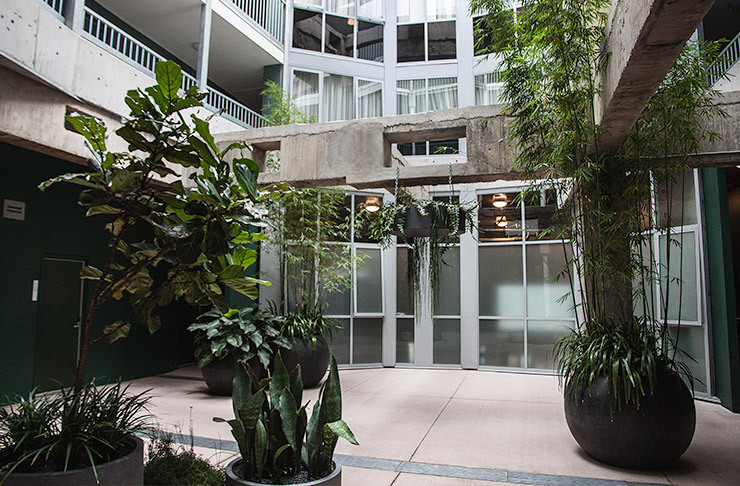 Alex Hotel lends a new meaning to the phrase “working from home.” Sure the rooms are homey, but the mezzanine lounge is where all the action is at. Curl up on one of the couches with a vino or get a breath of fresh air on the balcony with an espresso to perk you up. As a bonus, the café-style breakfast is a beautiful spread—and it’s all included! 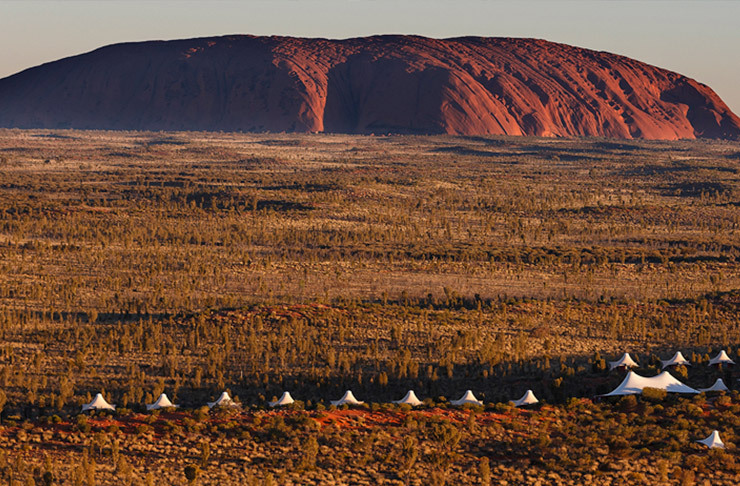 Wake up with a view of Uluru, ride on camel back to your dinner under the stars, and fall asleep in your “tent” (who are we kidding, it’s totally a luxury cabin). Longitude 131 is deeply connected to a sense of place and dedicated to letting you experience the full glory of the desert landscape. The sunrise walk is one of the few things worth waking up early for! Pumphouse Point has transformed two industrial buildings in the middle of World Heritage Wilderness, one of which sits on its own private jetty. With plenty of lake coves to explore, quiet nature walks, wallabies to meet and trout to fish for dinner, you’ll forget why you even had a smartphone (well, except maybe to use for the camera once you run out of space!). 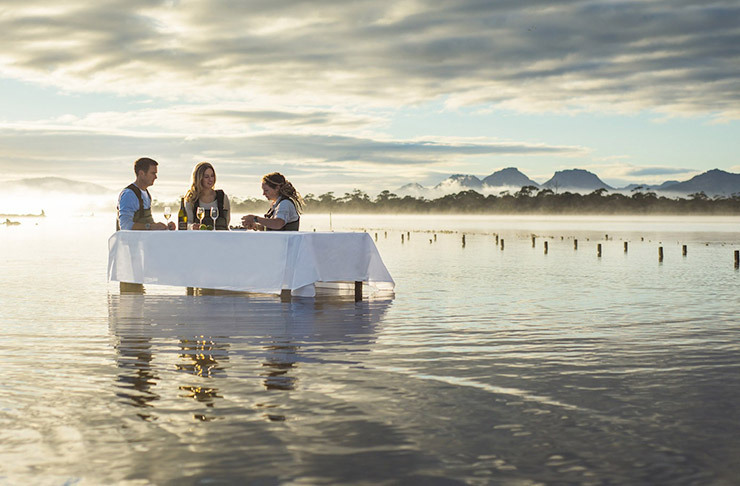 Why have oysters in a hotel restaurant when your hotel will bring you to the estuary, where you literally dine in the water and have your oysters shucked right there for you? Why go on any wine tour when Saffire has its own exclusive pass to a winery where you can taste straight from the barrel? Answer all these questions at Saffire. When only your own private tropical island will do, call on Capella Lodge. The Island’s natural treasures are so precious that 75% of it is permanently preserved as marine park and subtropical rainforest. It’s yours for the snorkelling and exploring.